News broke out recently that France would be taking a major step toward sustainable practices by banning plastic plates and cutlery, a law that’ll go into effect by 2020. Earlier this year, France had already ruled on banning plastic bags in supermarkets and stores, making it the world’s premier force in the fight against plastic. Plastics are synthesized using malleable polymers to create solid objects that can be produced relatively cheaply and can be molded into a number of shapes. They constitute, quite frankly, nearly everything, from buckets to hoses to toys to cartons to bags to bottles to straws to chairs to decorations to cups to ketchup packets and everything in between. The most damning thing, however, about something that is so ubiquitous is how harmful it is to produce and to break down. 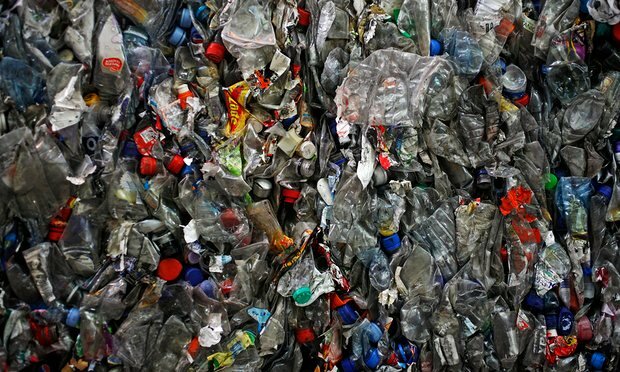 Millions of barrels of oil go into creating plastics each year, with 17 million used just to create water bottles each year, requiring three times the water in the process than those little bottles have the capacity to hold. That said, global consumption of plastic bottles increases at a frightening rate of 10% per year. Of course, you might think, we know that we’re supposed to recycle the plastic used though, so it can’t be that bad. Unfortunately, only about 12% of the bottles used are actually recycled, while the majority end up in landfills or being littered. Plastic has devastating effects on the environment, as it doesn’t naturally break down into the environment. Instead, it breaks into smaller particulate matter that oftentimes ends up in our water supply, and takes a maddening toll on our ecosystems. 90% of seabirds around the world, for instance, have plastic particulate in their stomachs. There exist nearly 5 trillion pieces of plastic in the world’s oceans, posing very real threats to animals getting caught in plastic, or choking on it, and dying. Microplastics, for example, are killing certain species of fish faster than they can reproduce, quite literally endangering entire species of marine life. Thankfully, many countries, including the U.S., have now called for a ban on microplastics in many products. Many countries around the world have already taken steps to reduce use of plastic bags, yet many others lag far behind. It certainly doesn’t help, needless to say, that a few major corporations are making astronomical profits off of our addiction to plastic. Many Americans cities have led the fight by placing bans or fees on plastic bags, including Austin, Cambridge, Chicago, Los Angeles, San Francisco, Seattle, Boulder, NYC, Portland (Maine), and Washington, D.C. While 100% of plastic bags are recyclable, most aren’t recycled. Many shoppers have turned to using a greener solution, the cloth bag, which, to be fair, must be used 131 times before it will have a “greener” impact than plastic bags, given the heavier materials used to produce it as well as its inability to be recycled, thereby ending up in landfills. Take a look at the Great Pacific Garbage Patch, a heap of marine debris out in the Pacific Ocean that might rival small islands in size. Remember, the next time you have seafood in the U.S., that human debris was found in 67% of all species of seafood tested. These findings demonstrate the profound impact that human activity, namely, producing and consuming plastics, is having on our health, our health as humans, as animals, and as an integral part of nature.